Let's Just Build a House! : Stone Fireplace reveal! After a long three weeks in the new house, we have internet and television. We are finally moved in---although the house is far from complete. We are still "roughing it" with only a fridge, microwave, pizza pizzaz and a crockpot. 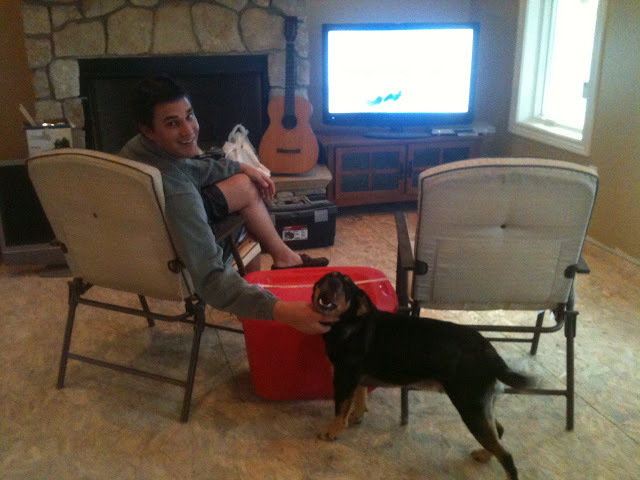 Lawn chairs and plastic tubs for furniture and Uncle Buck in the dvd player...thankfully that was only for a week. SO many more things to update you on! 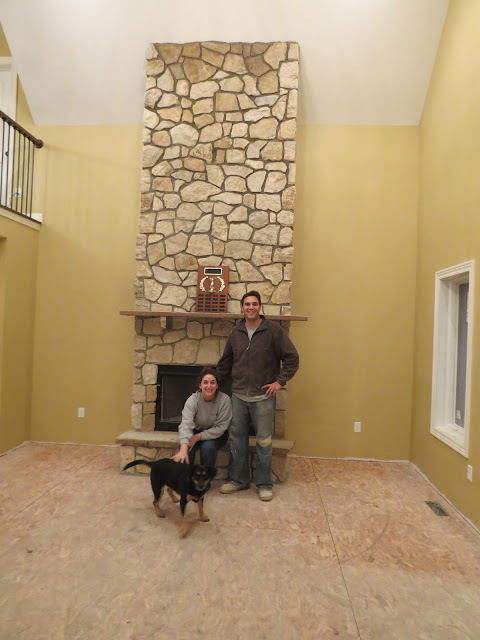 But when we left off, we were still working on the fireplace. It is finished. And more beautiful than we could have dreamed. My dad did a wonderful job and it makes it even more special that he did this for our home. Move in day, which is why we look like bums. Me and my dad with the finished product. Scout on the first night "But, when are we going back home??" Stick around, many many updates and photos coming soon to you. The fireplace looks amazing! I've been looking forward to an update! Can't wait for more! We are in our house, but have been so busy getting things set up, unpacked, etc. I haven't had time to blog! Ugh! ooo I can't wait to unpack! We only have the basics out right now. 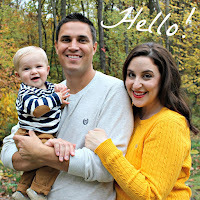 Can't to see more of your home too so get to blogging lady! Yippee! You're in the house and you're back to the interweb! and I have sooo missed the interweb....we are so behind on everything now! Hooray! I've been checking in to see how you're getting on and so happy to see an update! Your dad did an amazing job and I can't wait to see the rest of the house! 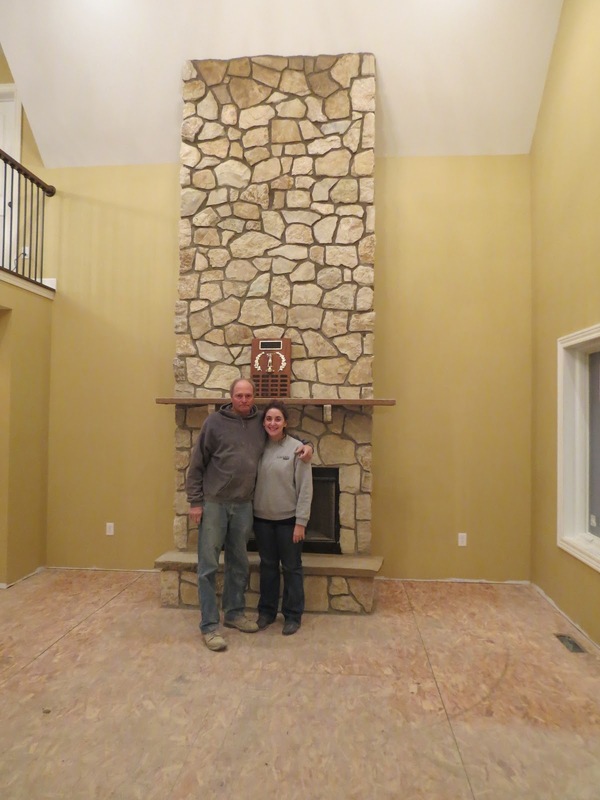 How does your dad feel about doing another fireplace??? But seriously, how does he feel about that? well you are in luck. 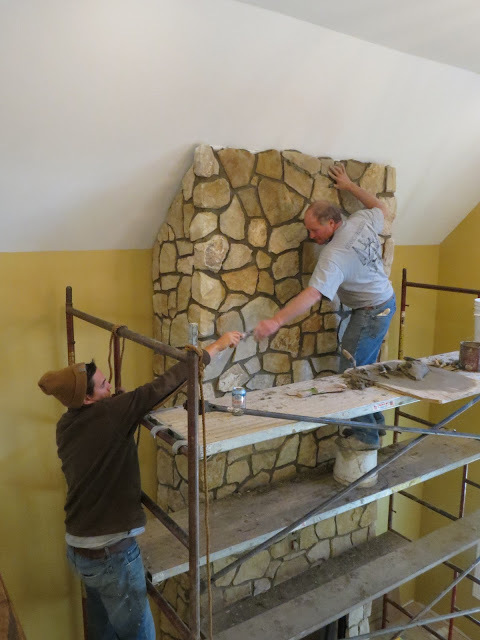 he told me when he retires soon, he wants to do stonework...just for fun. Moving into an unfinished house - I'm impressed! Can't wait to see the updates! i am impressing myself too! i had to cook noodles on a grill tonight...it was no easy task let me tell you! but worth it to be here. Looking good! Congrats on being in. It takes a long time to feel settled. What the crap is a pizza pizzaz? ?